So, Payoneer annual fees is $29.95. Suppose someone signs up to Payoneer and activates card on Jan 1, 2014. After a year on Jan 1,2015 the annual fees is supposed to be charged. But because there was no balance it didn't get charged. But after a few days, say on Jan 5, 2015 $20 is loaded to the card which is not enough for the fees to be charged. But the balance will be there and won't be usable right? Further on, lets say after a few days on Jan 10, 2015, more amount is loaded and the balance is $30 now. Will the fee be charged immediately or will we have to wait for the first day of the next month Feb 1, 2015 for the fees to be charged. @gamesnepal if you see your annual fee is $29.95 and annual fees for 2nd years is applicable for you then yes it will charge instantly once $29.95 balance is available in your card. i activate a payoneer account in last month of 2014 After, Activation of card i did not receive a payment.But now first time i am going to add a 100$ Amount in my payoneer account .please tell me how much their fees will be cut? There is no activation fee for an account that is created through Payoneer.com. 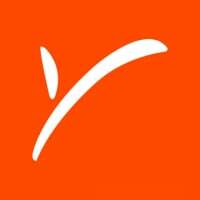 If you have signed up for an account on Payoneer.com, and are eligible for a card, there is no activation fee. If you do not have enough for the annual fee, the fee is charged as soon as you have enough funds to cover the fee. If you contact our customer support team, they will be able to close your account. There wouldn't be a fee charged if you have not received payments.